I get so thirsty in the summer. I love cool, quenching drinks. They seem to be hard to find. Iced tea has seemed pretty tasteless to me but I keep trying. Thanks to my willingness to keep trying different brands, I came across a truly delicious "cold brewed" ice tea from Twinings. 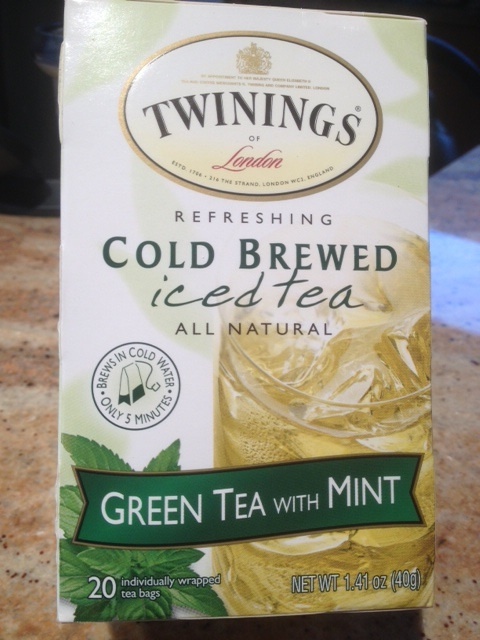 Amazingly it combines two of my favorite flavors in tea- green tea and mint! This means not only is it tasty, it is also packed full of healthy antioxidants. It is also easy to prepare since you do not need to boil water or let it sit in the sun for hours to brew. I now have a pitcher with iced tea sitting in my refrigerator waiting to be served for any time I new a thirst quenching drink. Do you have some healthy great summer time drinks you enjoy? Please share!